Zucchini Noodle Salad - healthy and refreshing salad made with zoodles or zucchini noodles. Topped with grilled shrimp and lemon-honey dressing, this salad is so delicious! What are Zoodles or Zucchini Noodles? Zoodles are made of zucchini. By attaching a zucchini on a spiralizer, the zucchini becomes spiralized noodles, which are healthy alternatives to carb-based noodles. The taste is light, refreshing and utterly delicious. 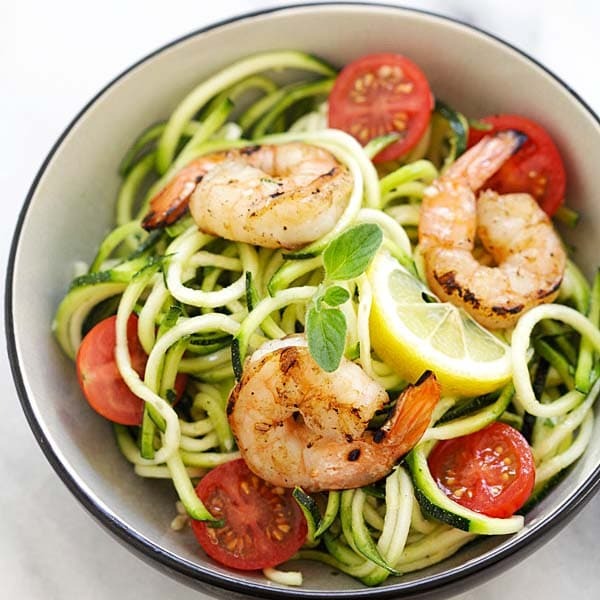 This zucchini noodle salad recipe is basically zoodles in a tangy and delicious homemade dressing, topped with grilled shrimp. 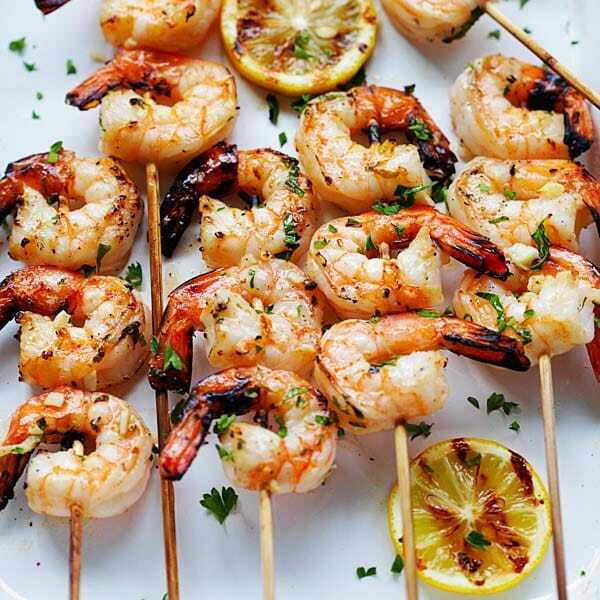 This is a perfect summer dish as zucchini is in season now, and it’s easy to fire up your grill and make grilled shrimp. The dressing is made of only 3 key ingredients: olive oil, lemon juice and honey. It doesn’t get any easier than this. I love this zoodle salad for days when I want something light on my meals, as a lunch or a light dinner. Try this recipe today. It’s easy to make, with very short active time. Once you try zoodles, you might not go back to regular wheat-based noodles! 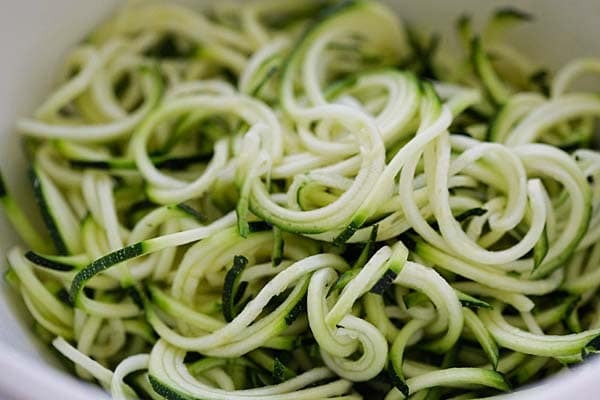 Attach the zucchini to a spiralizer and make the zucchini into noodles. Discard any water that seeps out from the zoodles. Mix the olive oil, lemon juice, honey, salt and black pepper in a small bowl. Stir to mix well. Toss the zoodles with the dressing, mix well. 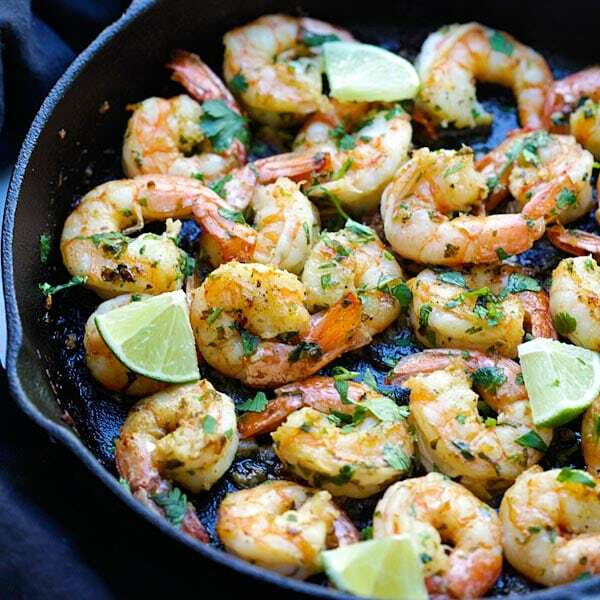 Top with cherry tomatoes and grilled shrimp. Serve immediately. 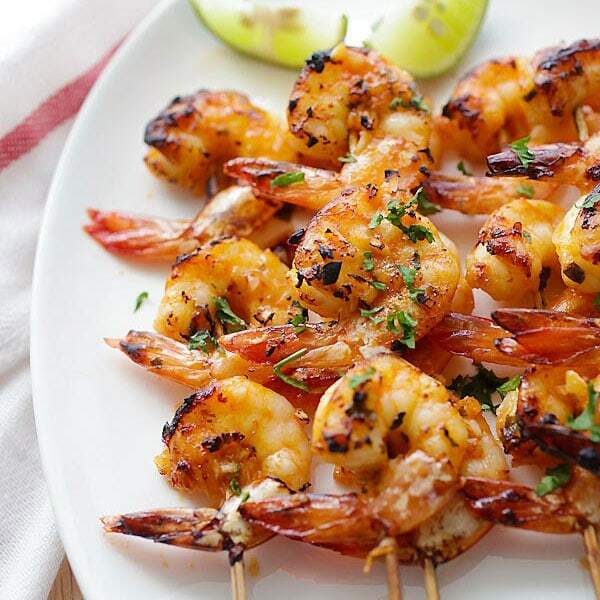 You may try this garlic butter shrimp kebab recipe.